If you follow us on Instagram, you’ll already know what our top 2 of 5 choices are this week! 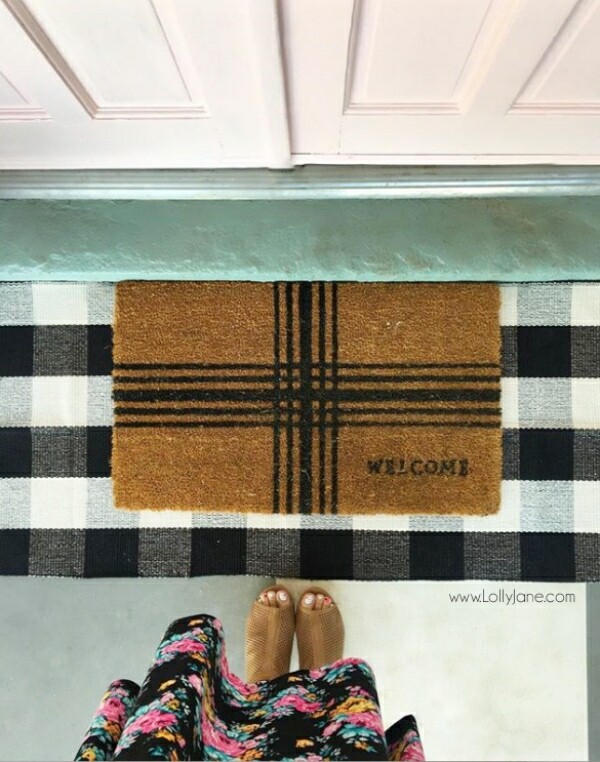 First up, this super affordable buffalo check rug is perfect for your porch, or your house, or your car, or your bedroom, or your bathroom, I mean…we love it so much we each have one 😀 The cute welcome doormat is from H&H Magnolia line at Target. More buffalo check, please! 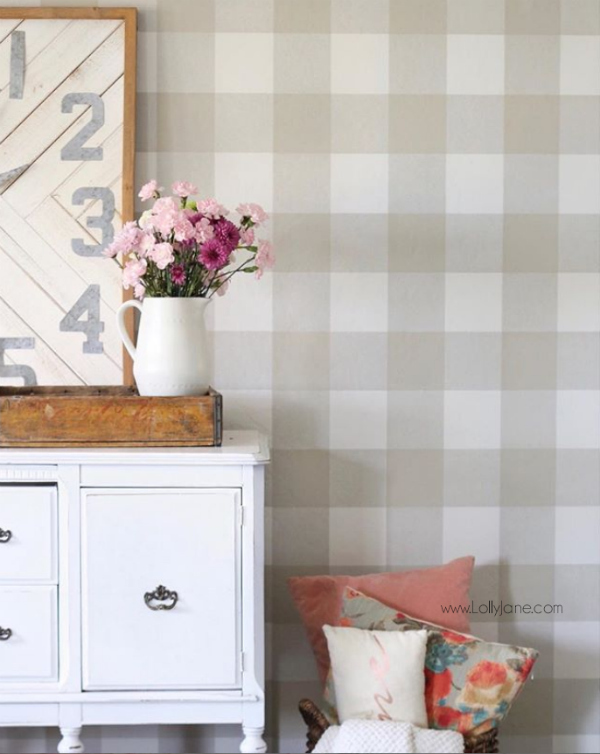 Kristi’s dining room got a mini makeover with her tan buffalo check peel and stick wallpaper! YES! 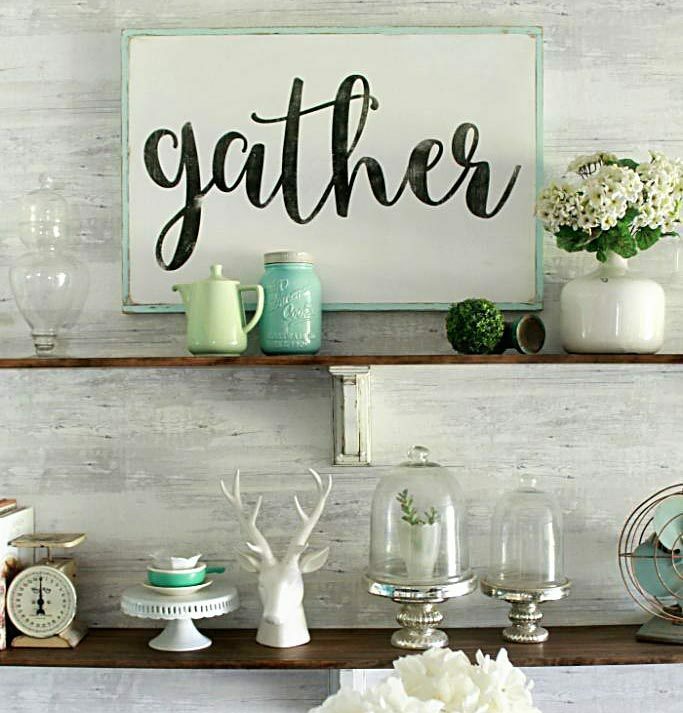 !–peel and stick! It’s removable and reusable! For $29/roll, that’s a pretty smokin deal! Isn’t it darling!? I’m waiting on my lights to arrive to finish off my bathroom remodel. 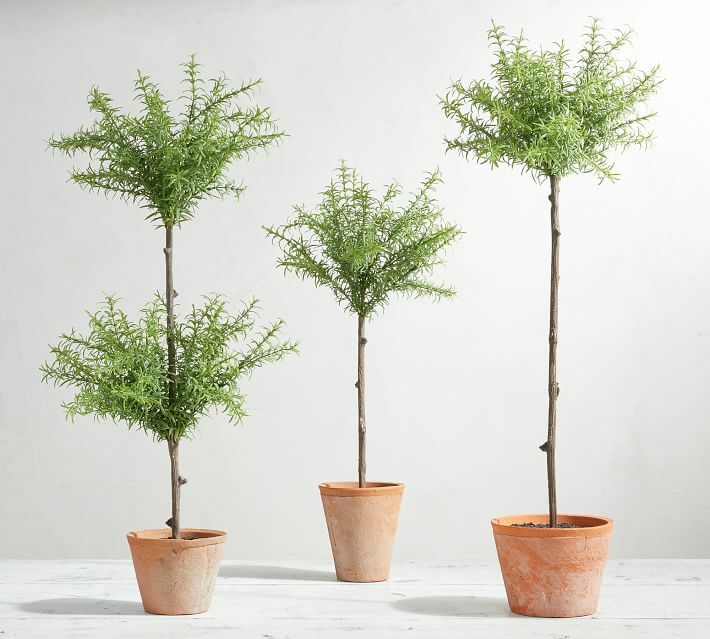 I added one of these pretty topiary trees over the weekend and love the height it brings! I took dinner to a friend who just had a baby and had to serve ELEVEN people! 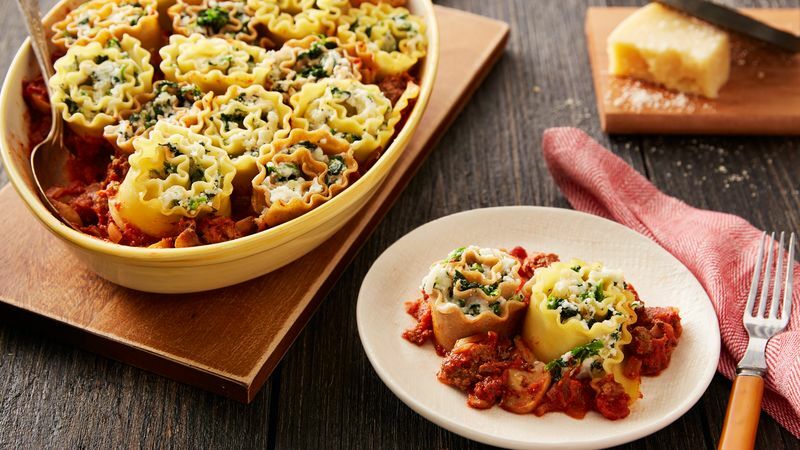 This Lasagna Roll Up recipe was super easy to make, my kids loved it too! Our Olive Focaccia Bread recipe would pair perfectly with it! 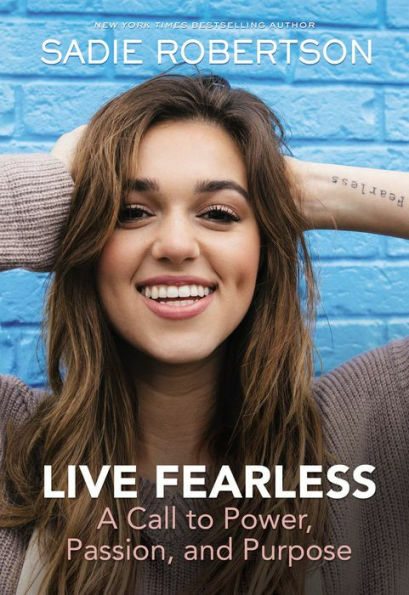 I’ve heard raving reviews about Live Fearless from the cute Duck Dynasty daughter. I got it for my teen and can’t wait to hear what she thinks about it, have you read it?